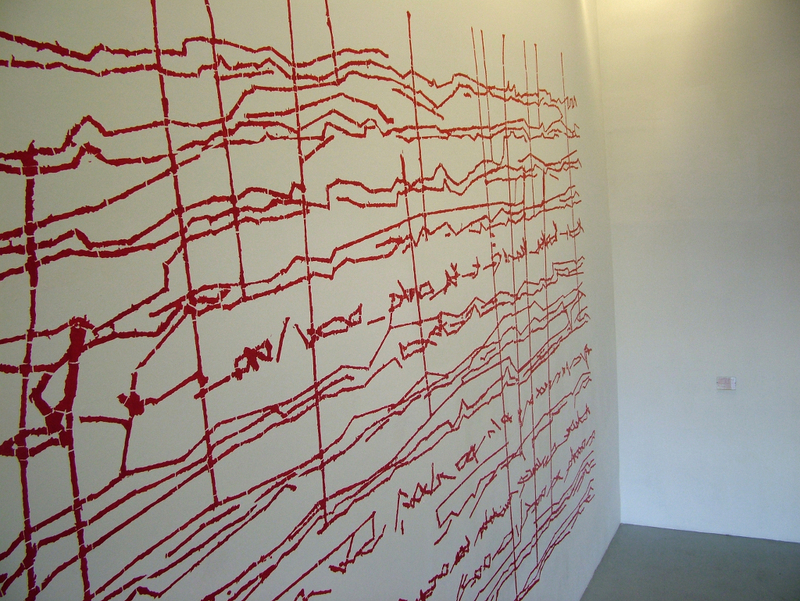 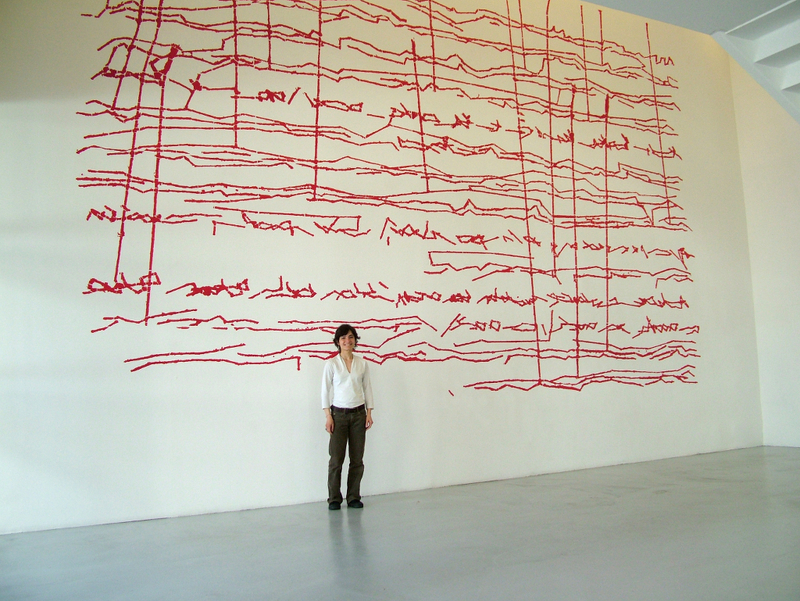 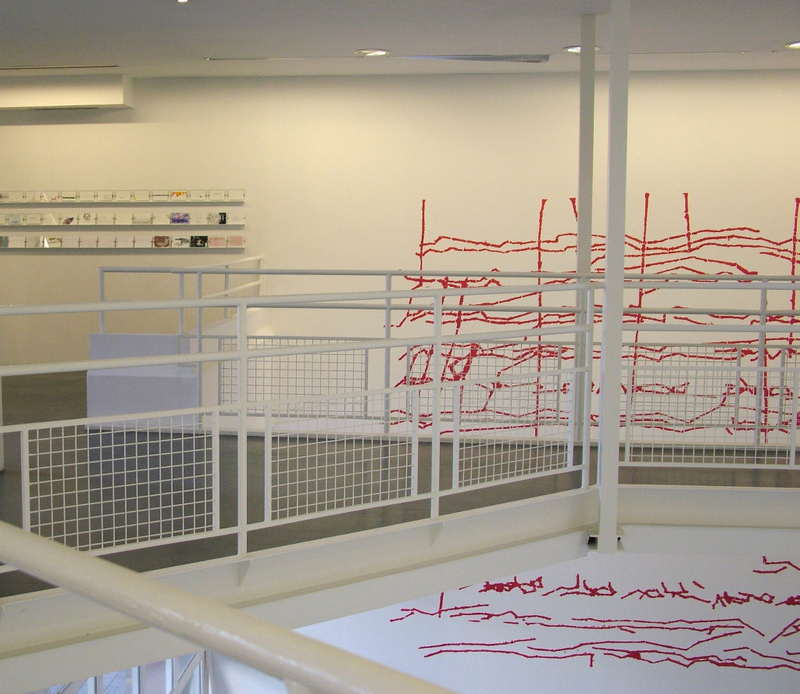 The installation in situ consist of a text/drawing, a wall painting and a video. 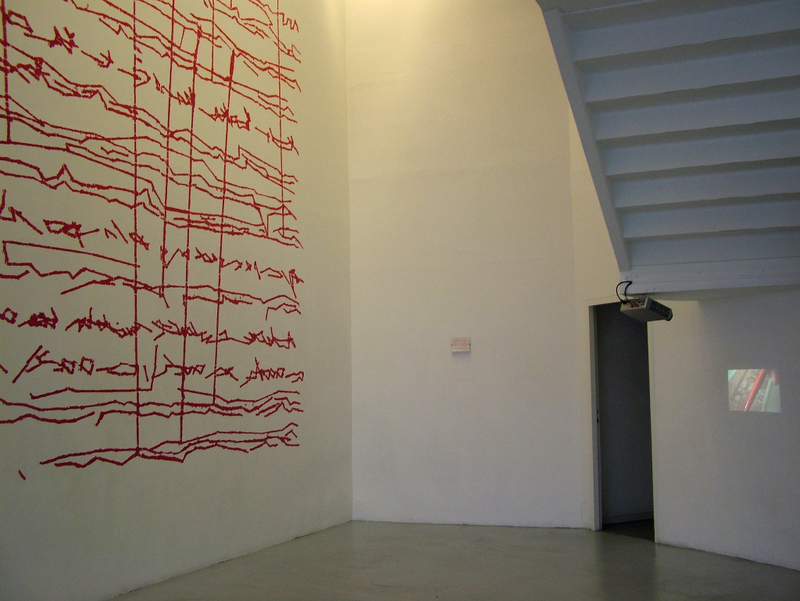 The text/drawing is the transcription of the sound recording of the childhood memories of my grandmothers transformed into drawing through the sewing of the words, the wall painting is its scale enlarged reproduction. 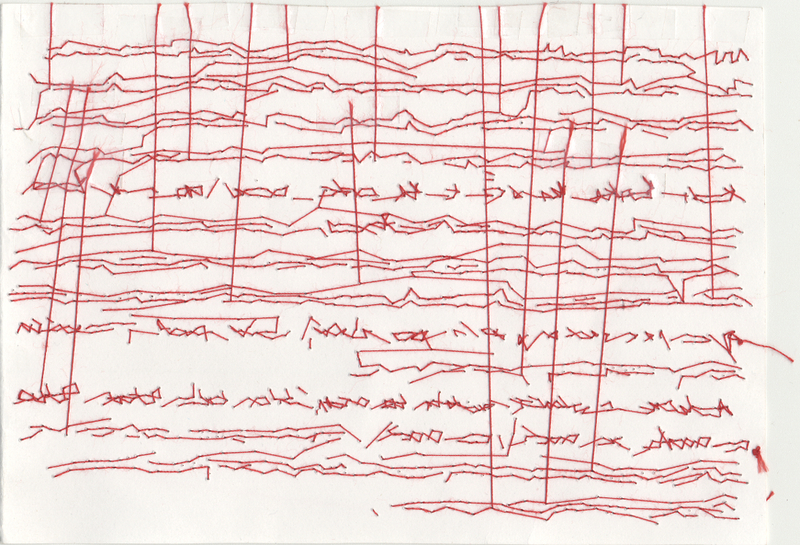 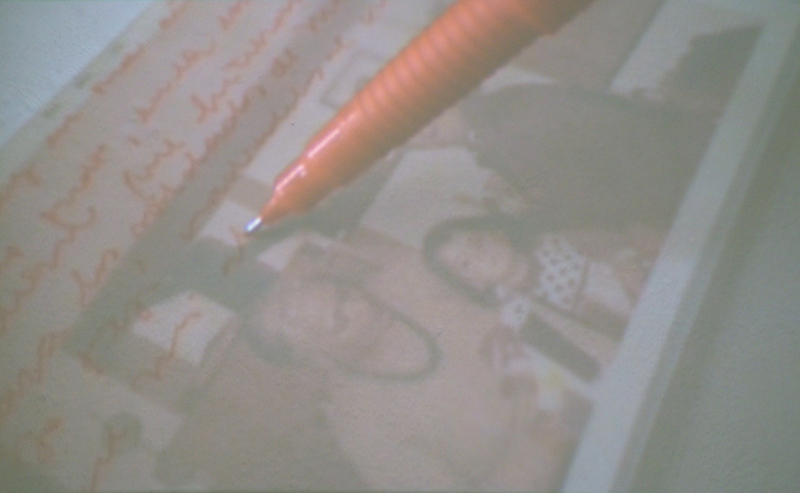 The video shows the writing of my childhood memories at the rate of the narrative of the grandmothers.